Ready to play better pool? Ready to enjoy the game to its fullest? Ready to get out of that slump or move your game to the next level? Ever wanted to improve your game and sneak up on your opponent? Let Arizona Billiard Academy help! 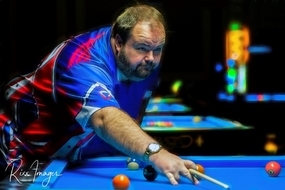 Arizona Billiard Academy lead instructor is a PBIA Master Instructor Carl Stewart, MBA, MIS.